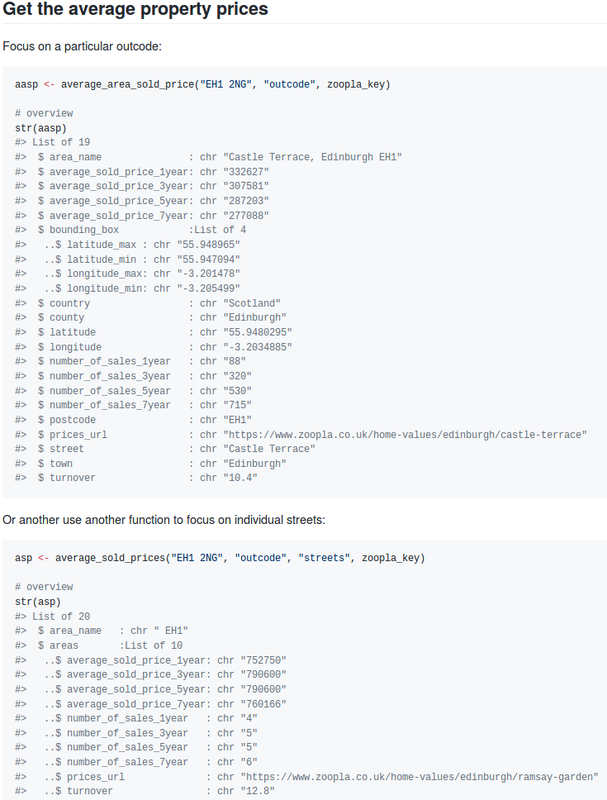 My task was to extract pitch values from a long list of audio files. 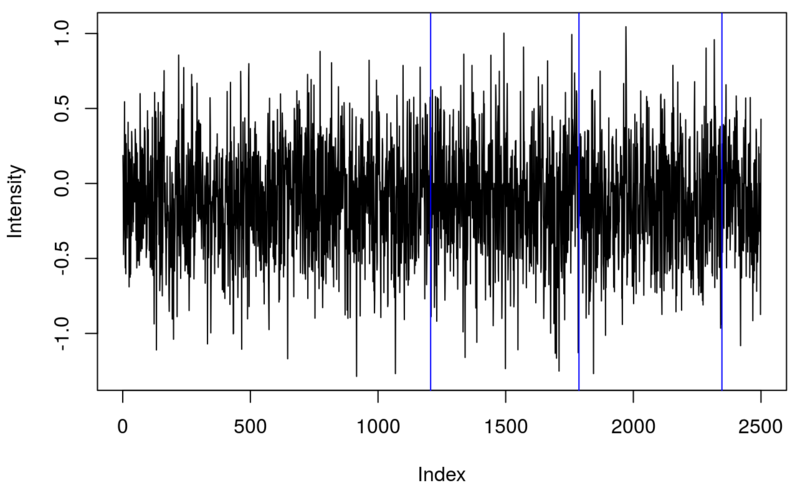 Previously I used Praat and R for this task but looping in R was rather slow so I wanted to find another solution. The following analysis was developed on Linux (Ubuntu). Eventually I decided to stick to Praat, which is the workhorse of phonetics and can be used from the command line. Which will extract pitch tracks from all .wav files in the directory. The pitch extraction will use default settings in Praat. The output will be one .pitch file for each .wav file. The files themselves contain all candidates and are not in a tidy format so they have to be transformed. This step could probably be done in Praat scripting but I did not have patience to achieve it there and I moved to R which could easily produce desired output. R can be called from the command line using littler. Shebang on the first line means that the script can be called from the command line. The script below transforms .praat files into clean .csv files. This creates a .csv file with the best candidate pitch above a certain confidence threshold. 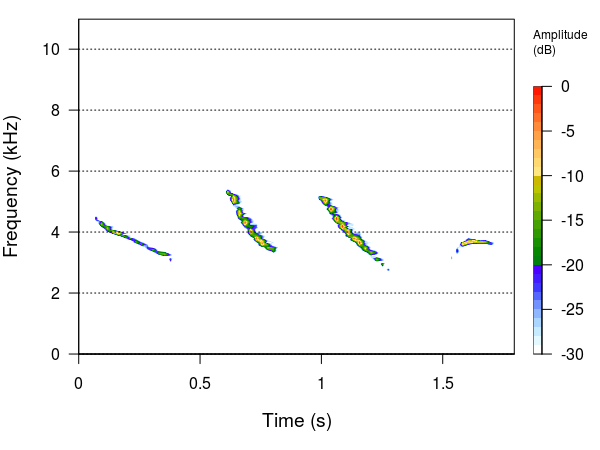 Pitch extraction algorithm used by Praat was developed by Boersma (1993). Creating a spectrogram is a basic step in every analysis of audio signals. 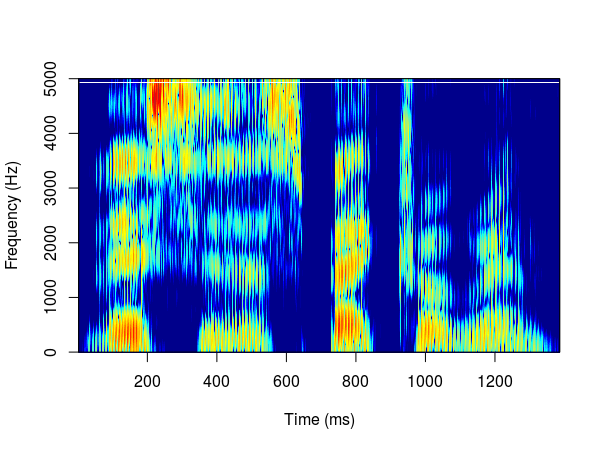 Spectrograms visualise how frequencies change over a time period. 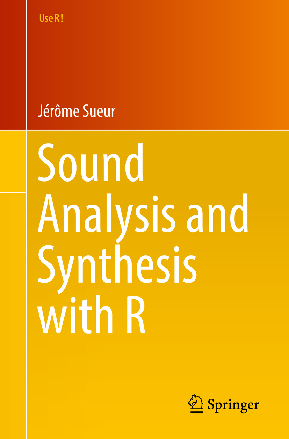 Luckily, there is a selection of R packages that can help with this task. I will present a selection of packages that I like to use. 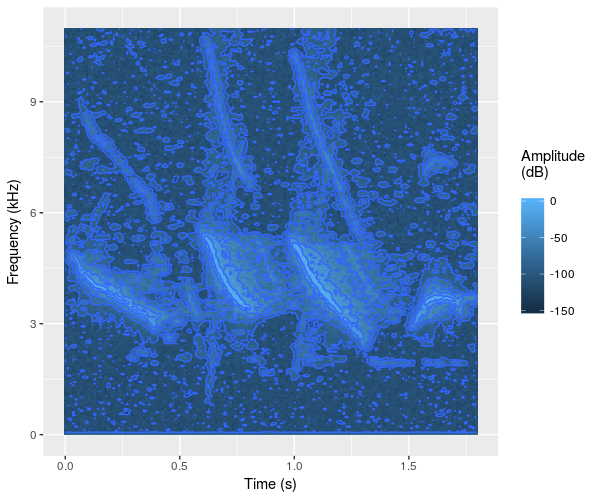 This post is not an introduction to spectrograms. If you want to learn more about them then try other resources (e.g. lecture notes from UCL). The examples shown below came mostly from the official documentation and were kept as simple as possible. The majority of functions allow further customisation of the plots. 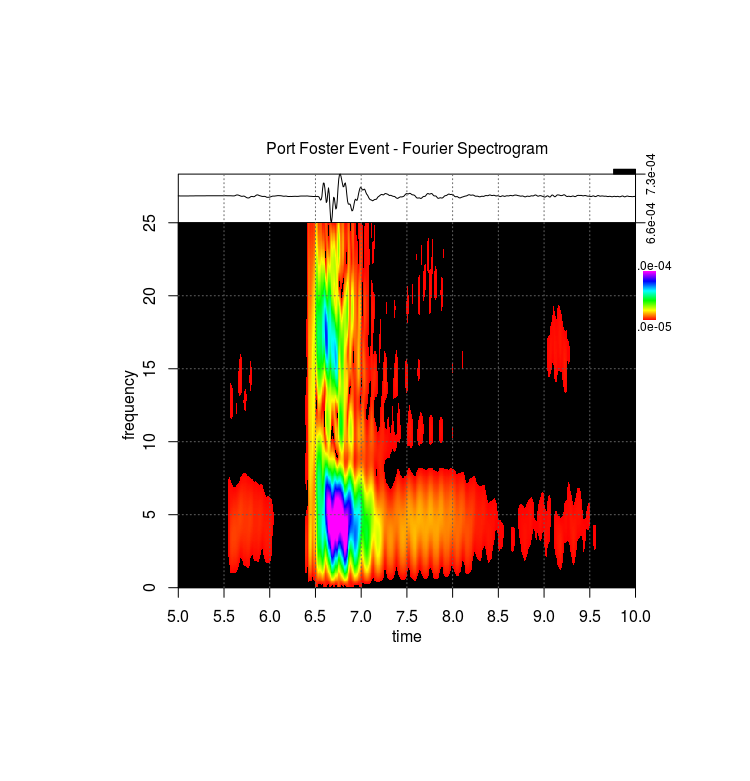 Creating a spectrogram from the scratch is not so difficult, as shown by Hansen Johnson in this blog post. Another solution was provided by Aaron Albin. Praat is a workhorse of audio analysis. 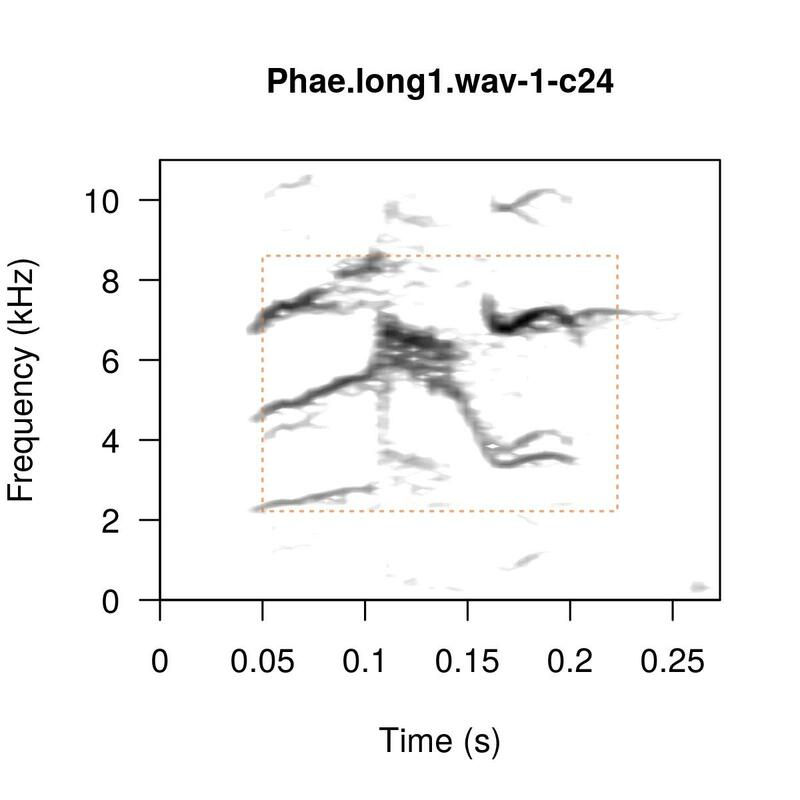 It is a standalone software, but there is also an R controller called PraatR, that allows calling Praat functions from R. It is not the easiest tool to use so I will just mention it here for reference. 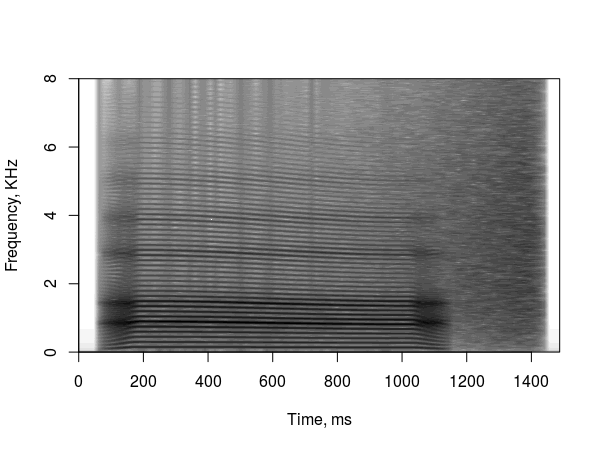 I am pretty sure that there are more packages that allow creating spectrograms but I had to stop somewhere. Feel free to leave comments about other examples. Homer2 needs a particular format of a .nirs file that cannot have consecutive triggers (also called Marks in Hitachi files). To remove the triggers/markings in R follow the steps below. 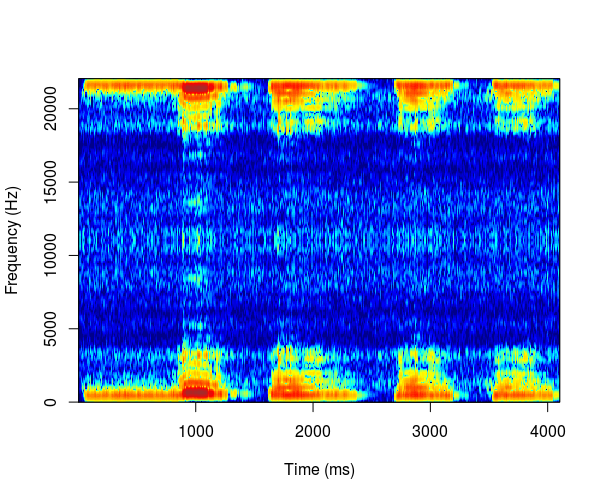 and a plot showing raw data in one channel (quite noisy) with all the triggers. 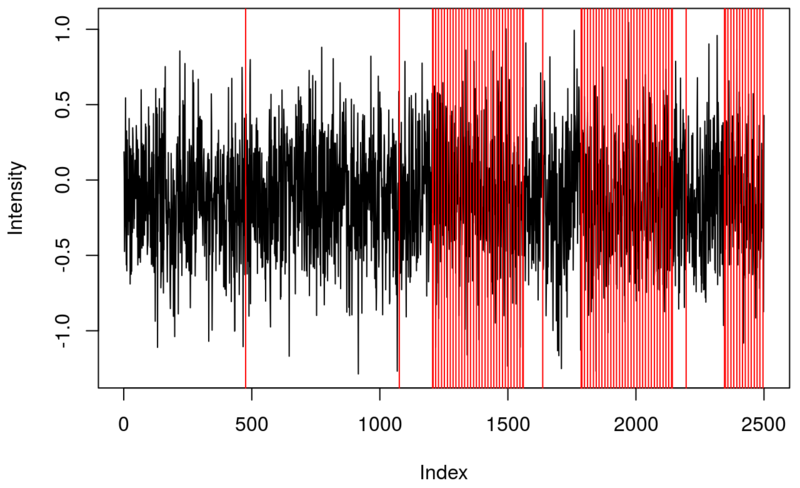 This shows several triggers (all plotted using red colour). I will only keep trigger ‘2’ to mark the beginning of a block. The first step is cleaning the data by removing all but trigger ‘2’. It turned out that there were two ‘2’ triggers next to each other. That’s because ETG-4000 does not allow odd triggers next to each other, e.g. 212 is invalid, but 22111122 is valid. I wrote a function (soon incorporated into fnirsr package) that deals with this problem. After using R notebooks for a while I found it really unintuitive to use MATLAB in IDE. 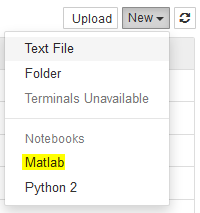 I read that it’s possible to use MATLAB with IPython but the instructions seemed a bit out of date. When I tried to follow them, I still could not run MATLAB with Jupyter (spin-off from IPython). 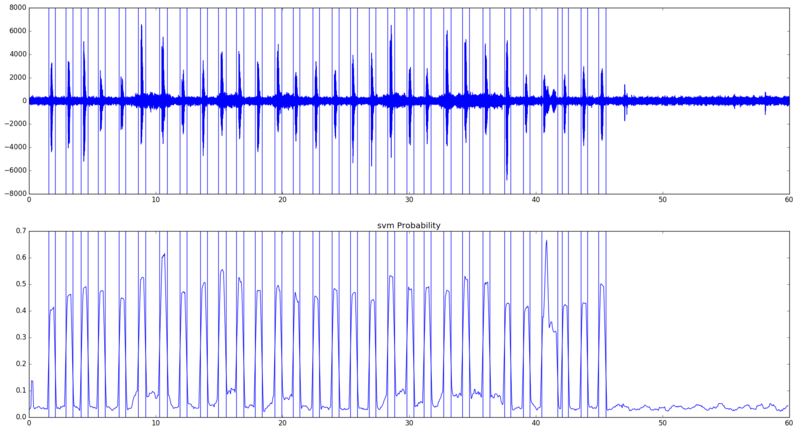 I wanted to conduct analyses of electroencephalographic (EEG) activity and the best plug-ins to do it (EEGLAB and ERPLAB) were written in MATLAB. I still wanted to use a programming notebook so I had to combine Jupyter and MATLAB. I spent a bit of time setting it all up so I thought it might be worthwhile to share the process. Initially, I had three version of MATLAB (2011a, 2011b, and 2016b) and two versions of Python (2.7 and 3.3). This did not make my life easier of Windows 7. Eventually, I only kept the installation of MATLAB 2016b to avoid problems with paths pointing to other versions. MATLAB’s Python engine works only with MATLAB 2014b or later so keeping the older versions could only cause problems. Install MATLAB (>=2014b) – if you are a student then it’s very likely that your university bought a license. There is also a free MATLAB-like language called Octave, but I have not used with Jupyter. 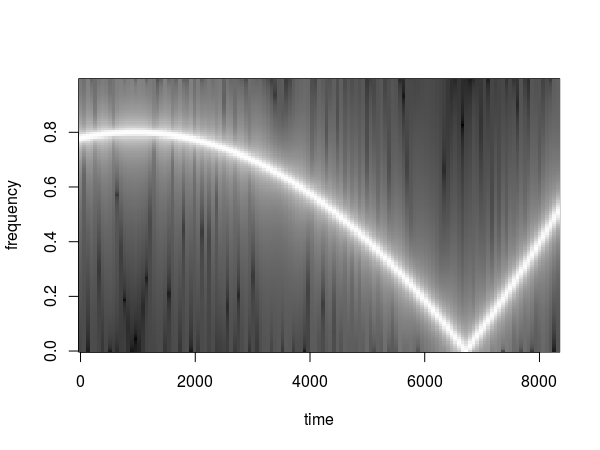 Apparently, it is possible to combine Octave with Jupyter. 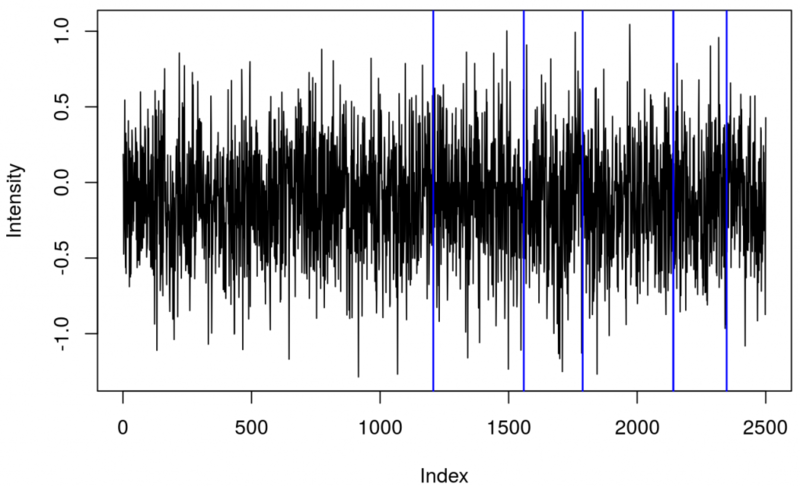 I’m going to focus exclusively on MATLAB in this post. Install MATLAB’s Python engine – run as admin and follow the steps on the official site. In the Anaconda prompt run pip install matlab_kernel – this will use the development version of the MATLAB kernel. Run pip install pymatbridge to install a connector between Python and MATLAB. MATLAB should now be available in the list of available languages. I hope this will be useful. I have been messing with other issues which were pretty specific to my system so I did not include them here. Hopefully, these instructions will be enough to make MATLAB work with Jupyter. PS: I have also explained how to use MATLAB with Jupyter on Ubuntu. 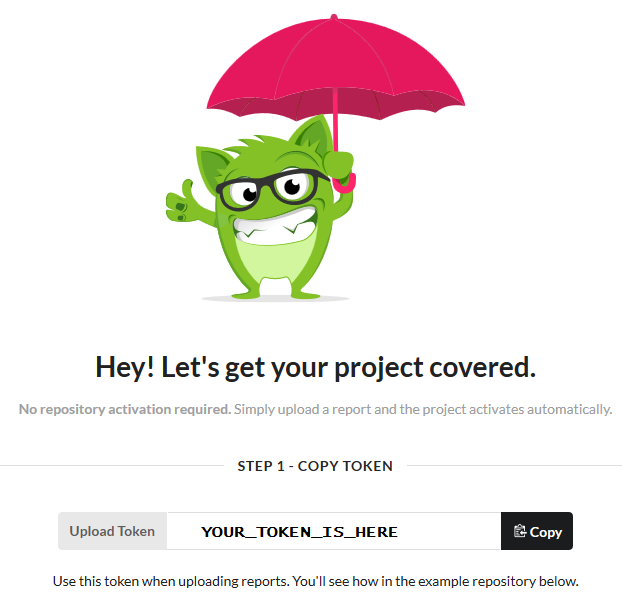 How to add code coverage (codecov) to your R package? During the development of another R package I wasted a bit of time figuring out how to add code coverage to my package. I had the same problem last time so I decided to write up the procedure step-by-step. 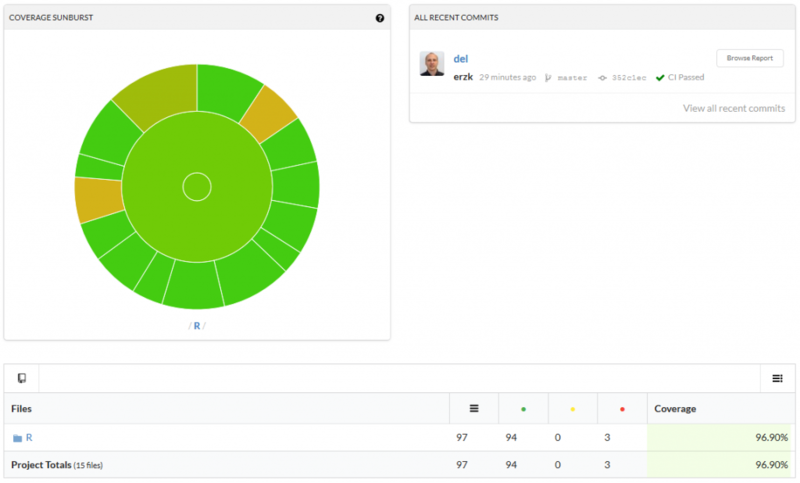 Provided that you’ve already written an R package, the next step is to create tests. Luckily, devtools package makes setting up both testing and code coverage a breeze. I hope this will be useful and will save a lot of frustrations.